Super-talented Irish golfer Robin Dawson will make his professional debut after accepting an invitation to contest next week’s prestigious Portugal Masters. The 22-year old Tramore golfer indicated some time ago he would be turning professional following his appearance in the Ireland Home International side and with Ireland, who had lead on day two, overhauled by England by just half-a-point in the closing Singles in a dramatic closign day today (FRD) at the Conwy club in North Wales. 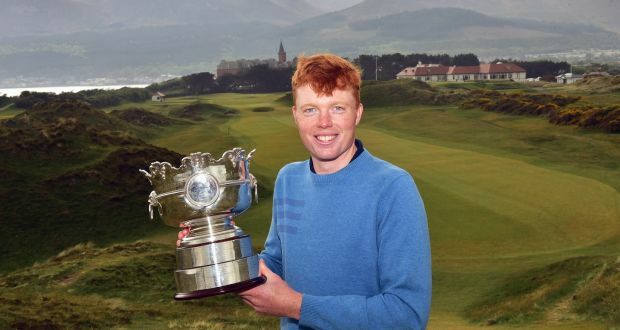 Tramore’s Robin Dawson wins 2018 Irish Amateur Open earlier tihs year at Royal County Down and has now accepted an invitation to contest next week’s European Tour Portugual Masters.